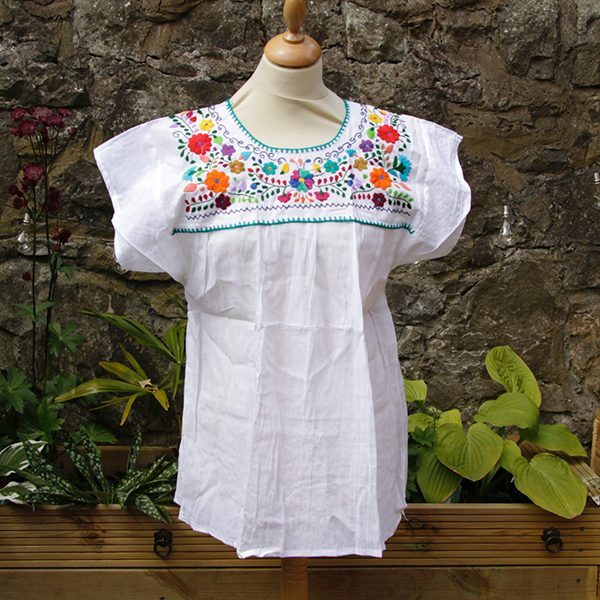 Ornate hand embroidered blouse, light and semi sheer 100% cotton. 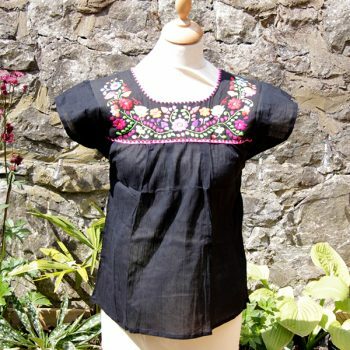 These tops are worn billowy and flowing a boho style, beach wear, Sunday stroll, loose and lovely, especially good for travelling . 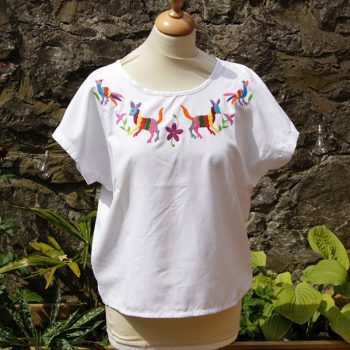 These tops are 100% authentic Mexican and the design is faithful to the originals. 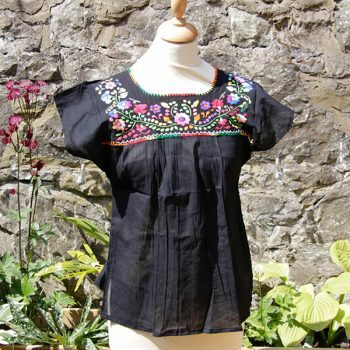 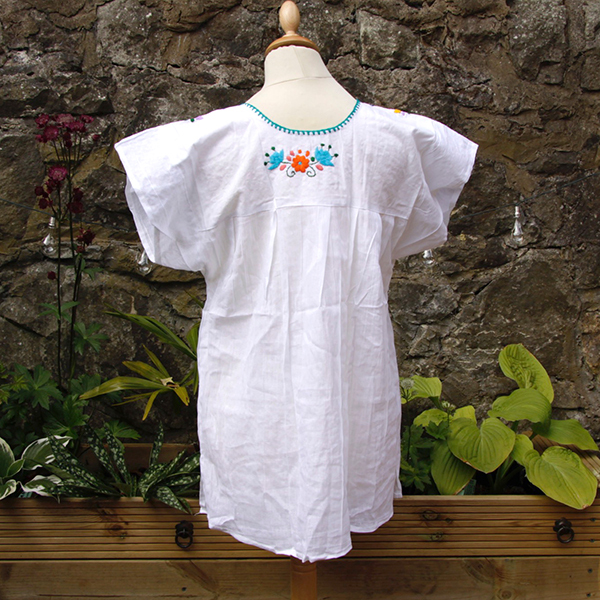 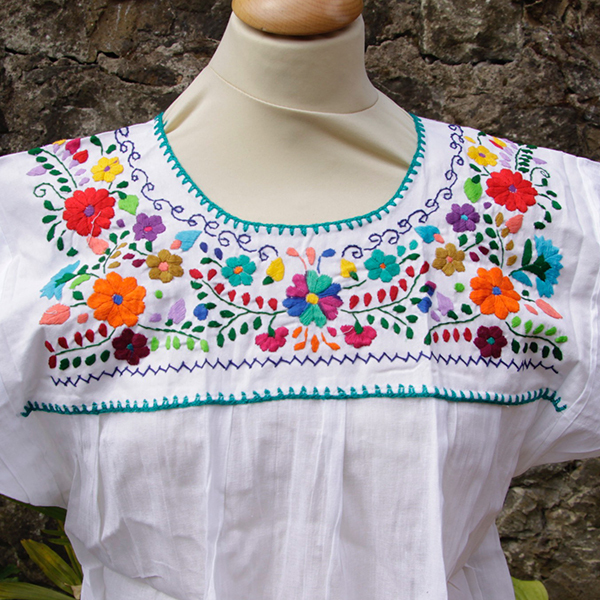 Skilfully hand embroidered and fairly traded, each top is a one of a kind artwork. 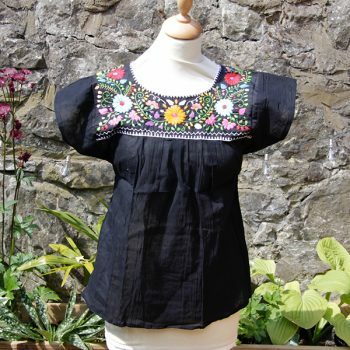 Essentially the tops are unsized but as they are all individual I will give individual measurements for each one, the tops are a loose fit.